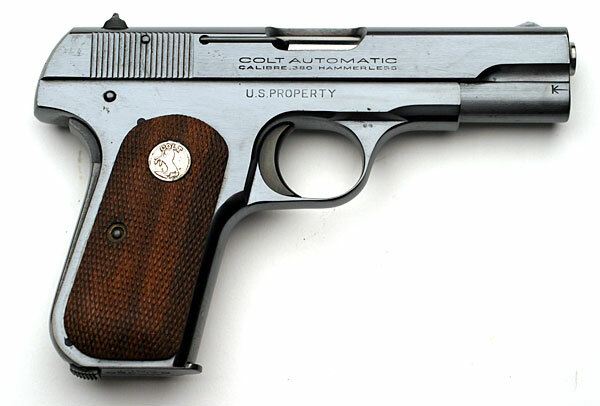 Colt Model 1908 Pocket Hammerless .380 ACP pistol serial number 136813 - Model M .380 pistol issued to Brigadier General Lotha A. Smith, USAF - In 1945, he was promoted to the rank of Brigadier General and was presented his Colt 1908 .380 caliber sidearm, serial number 136813. 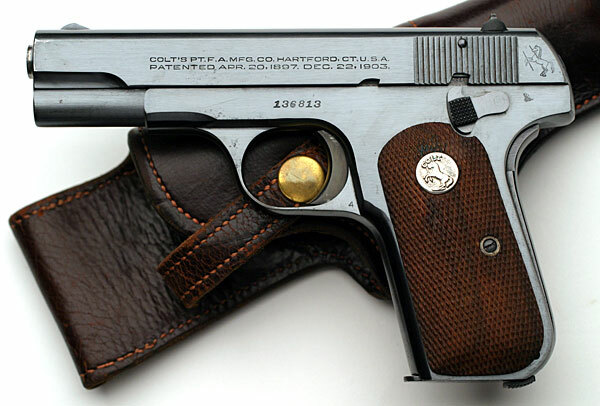 This gun is accompanied by the original brown holster issued to General Smith. April 1919 Temporary Duty Newport News, Virginia and Mitchel Field, New York to April 1919. Commanding Officer, Flight "A", 90th Surveillance Squadron. 1928 Represented Hawaiian Department in National Aerial Gunnery Meet at Langley Field, Virginia. January 1930 Relieved Selfridge Field. Rated: Comd. Plt. ; C. Obsr. 26 December 1943 Relieved Canton. December 1944 Served with Seventh Air Force as assistant chief of staff for plans. General Smith's citations and decorations included the Legion of Merit by Lieutenant General Robert C. Richardson, Jr. for his achievements at Canton Island and the Bronze Star by Lieutenant General Barney M. Giles, Army Air Forces, for meritorious service as War Plans Officer for the Army Air Forces in the Central Pacific. Constituted as 28th Composite Group on 22 Dec 1939. Activated on 1 Feb 1940. Redesignated 28th Bombardment Group (Composite) in Dec 1943. Aircraft included P-38's, P-39's, P-40's, B-26's and LB-30's during 1941-1943, and B-24's and B-25's during 1944-1945. Operated in Alaska from Feb 1941 until after the war. Trained for Arctic warfare in 1941 and served as part of the defense system for the region. Helped to force the withdrawal of Japanese ships that attacked Dutch Harbor in Jun 1942. Flew missions against Kiska until the Japanese evacuated that island in Aug 1943. Bombed and strafed shipping, harbor facilities, canneries, fisheries, and military installations in the Kurils. Also flew photographic reconnaissance missions to obtain material for planning operations. Received a DUC for the period Apr 1944-Aug 1945 when the group's attacks on the Kurils caused Japan to divert some of her air power to that northern area, thus weakening Japanese opposition to Allied forces in the south. Flew its last bombing mission on 13 Aug 1945 but continued reconnaissance operations in the Kurils after the war. Inactivated in Alaska on 20 October 1945. Redesignated 28th Bombardment Group (Very Heavy). Activated in the US on 4 Aug 1946 as part of Strategic Air Command. Equipped with B-29 aircraft. Was stationed in Alaska from Oct 1946 to Apr 1947. Redesignated 28th Bombardment Group (Medium) in May 1948. Redesignated 28th Bombardment Group (Heavy) in May 1949 and equipped with RB-36's in Jul. Redesignated 28th Strategic Reconnaissance Group in Apr 1950, and 28th Strategic Reconnaissance Group (Heavy) in Jul 1950. Inactivated on 16 Jun 1952. Squadrons. 11th Pursuit: 1942. 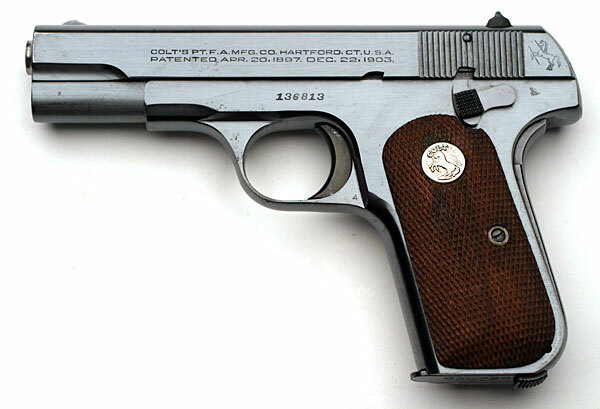 18th Pursuit: 1941-1942. 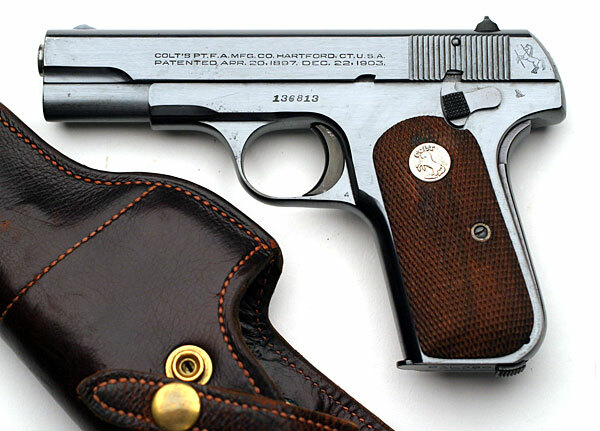 34th Pursuit: 1940. 36th: 1940-1943. 37th: 1940-1941. 73d: 1941-1943. 77th: 1942-1945; 1946-1952. 404th: 1942-1945. 717th: 1946-1952. 718th: 1946-1952. Stations. March Field, Calif, 1 Feb 1940; Moffett Field, Calif, 10 Dec 1940-12 Feb 1941; Elmendorf Field, Alaska, 23 Feb 1941; Adak, 14 Mar 1943; Shemya, 26 Feb 1944-20 Oct 1945. Grand Island AAFld, Neb, Aug-Oct 1946; Elmendorf Field, Alaska, 20 Oct 1946-24 Apr 1947; Rapid City AAFld, SD, 3 May 1947-16 Jun 1952. Commanders. Col William H Crom, 1 Feb 1940; Lt Col Lotha A Smith, 12 Feb 1940; Maj William O Eareckson, 1 Sep 1940; Maj Donald W Titus, 20 Oct 1940; Maj William O Eareckson, 26 May 1941; Maj Norman D Sillin, 7 Nov 1941; Col Earl H DeFord, 23 Jan 1943; Maj Robert C Orth, 19 Mar 1943; Lt Col Jack N Donohew, 27 Mar 1943; Lt Col Ralph W Rodieck, 18 Apr 1943; Lt Col John W Massion, 27 Oct 1943; Lt Col Alexander W Bryant, 4 Jan 1944; Col Robert H Herman, 1 Apr 1944; Col Walter L Wheeler, 21 Jul 1945; Lt Col John C Larson, 27 Sep-20 Oct 1945. Col Richard M Montgomery, 4 Aug 1946; Col Thomas Gent Jr, 23 Aug 1946; Lt Col Donald W Lang, 15 Aug 1947; Lt Col Everett W Best, 24 Dec 1947; Lt Col Frank W Iseman Jr, 16 Apr 1948; Lt Col Solomon Cutcher, 27 Jun 1948; Col John B Henry Jr, 10 Jul 1948; Lt Col Everett W Best, 25 Apr 1949; Col William P Brett, 2 May 1949; Lt Col Solomon Cutcher, 21 Mar 1950; Col Donald W Eisenhart, 3 Apr 1950; Col Frank W Iseman Jr, 24 Jul 1950; Col Bertram C Harrison, 18 Oct 1950; Col Richard E Ellsworth, 10 Feb 1951-16 Jun 1952. Campaigns. Air Offensive, Japan; Aleutians. Decorations. Distinguished Unit Citation: Kuril Islands, 1 Apr 1944-13 Aug 1945.